How do we get a consistent income and good growth both at the same time from our investments? 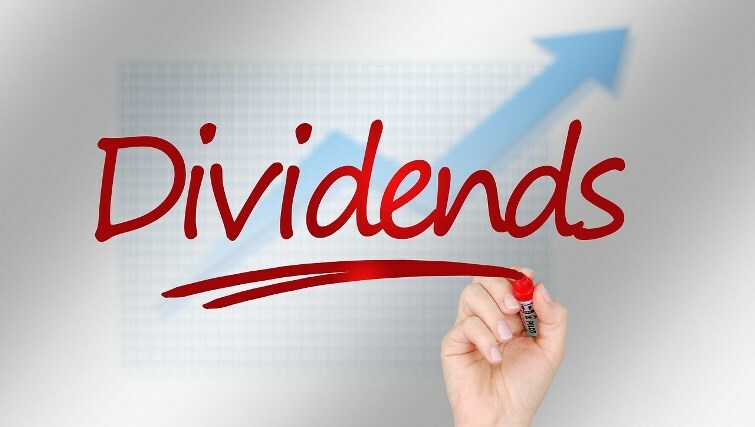 In this article, I have talked about, what is dividend Investing and what are the important things we have to consider for investing with the purpose to build consistent income from such investments. We will see the concept of Dividend Investing and the risks involved and some examples of stock which are considered to be good Dividend Stocks. So, generally, companies declare some part of the total profit as Dividends to its shareholders. Suppose a Company earns the profit of Rs.200 crores and it wants to give 100 crores as Dividends back to shareholders and there are a total of 10 crore shares in the market. It will come out to be a dividend of Rs 10 per share. Now, if the face value of each share is Rs.100 (10/100), then it will be called as 10% dividend declared by the company, but if the Market price of that same share is Rs.200, then the dividend yield would be just 5% (10/200). So what matters is the Dividend Yield and not the percentage of Dividend that is declared. Suppose, you have 200 shares of Infosys and its current market price is Rs.1000, whereas the fave value of Infosys was Rs 10 and Dividend per share is declared at Rs.50, then the dividend percentage will be 500% (50/10), but the yield would be just 5% (50/1000) and your Dividend income will come out to be just Rs 10,000, which is 5% of your shares current market value of Rs 2,00,000. See the Video Below to understand a little more. How to create a regular and consistent Income from Dividend Investing? Your Investment Growth: The stock price will have good growth over the long-term and the share prices will grow. Tax-Free Income: As per current income tax rules, the dividend received from Stocks are 100% tax-free, unlike Mutual funds dividend where there is Dividend Distribution Tax. Note: So Even if your Stock grows at 7% per year over long term and has a Dividend payout of around 5% every year… your actual return from the stock would be 12% approx which is a very good return. Where to find out the Dividend Information for a Stock in BSE and NSE? People who have a good amount of money to invest in the stock market and also want consistent returns per year can look for investing in good (researched) Dividend Stocks. This will give them good investment growth and regular income. As far as I know , there is a recording date when they see who all hold the stock and those people will get the dividend . So buy the stock before its declared and may be you can sell the stock later . But !! , Remember that just gettign dividend should not be the primary reason for buying the stock ,Getting dividend should be a secondary thing . Better invest in good stocks who also give regular dividend . Thanks for you post. I am planning to build allocate a good portion of my portfolio to dividend stocks. I have a quick question for you. Are there any minimum holding period for stocks to be eligible to receive dividend? Lets say I buy a stock today and next month, that company announces a dividend. Will I get my dividend even though I am holding it for just one month (or less than that)?